Queen Twosret (Tawosret, Tausret) was the last known ruler and the final Pharaoh of the Nineteenth Dynasty. She is recorded in Manetho's Epitome as a certain Thuoris, who in Homer is called Polybus, husband of Alcandara, and in whose time Troy was taken. She was said to have ruled Egypt for seven years, but this figure included the nearly six year reign of Siptah, her predecessor. Consequently, her sole independent reign would have lasted for slightly more than one full year from 1191 to 1190 BC. Her royal name, Sitre Meryamun, means "Daughter of Re, beloved of Amun." Nothing is known about the ancestry of Queen Twosret. She was thought to be the second royal wife of Seti II, his other wife being queen Takhat. There are no known children for Twosret and Seti II, unless KV56 represents the burial of their daughter. Theodore Davis identified the Queen and her husband in a cache of jewelry found in tomb KV56 in the Valley of the Kings. 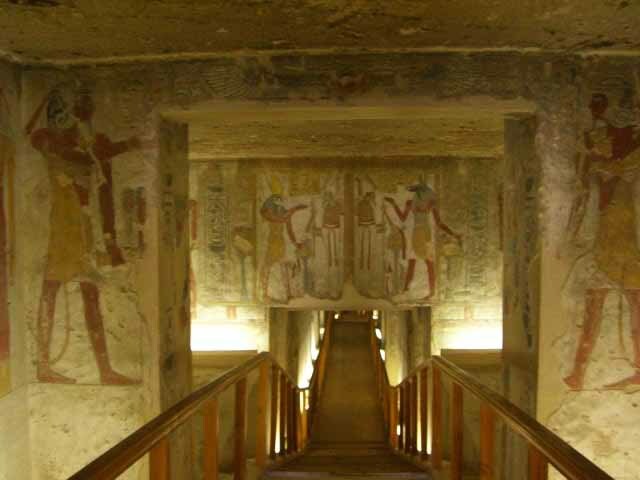 This tomb also contained objects bearing the name of Rameses II. There is no consensus about the nature of this tomb. Some (Aldred) thought this was the tomb of a daughter of Seti II and Tawosret, but others (Maspero) thought this was a cache of objects originally belonging with the tomb of Tawosret herself. After her husband's death, she became first regent to Seti's heir Siptah jointly with Chancellor Bay, whom some have identified as the Irsu mentioned in the Harris Papyrus. Siptah was likely a stepson of Twosret since his mother is now known to be a certain Sutailja or Shoteraja from Louvre Relief E 26901. When Siptah died, Twosret officially assumed the throne for herself, as the "Daughter of Re, Lady of Ta-merit, Twosret of Mut", and assumed the role of a Pharaoh. 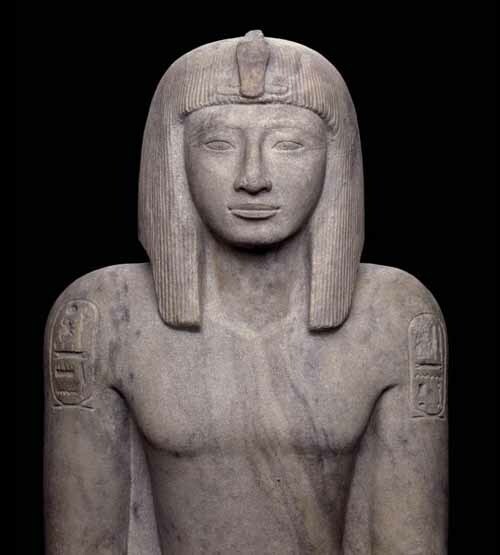 While it was commonly believed that she ruled Egypt with the aid of Chancellor Bay, a recently published document by Pierre Grandet in a BIFAO 100(2000) paper shows that Bay was executed on Siptah's orders during Year 5 of this king's reign. The document is a hieratic ostracon or inscribed potshard and contains an announcement to the workmen of Deir El-Medina of the king's actions. No immediate reason was given to show what caused Siptah to turn against "the great enemy Bay," as the ostracon states. 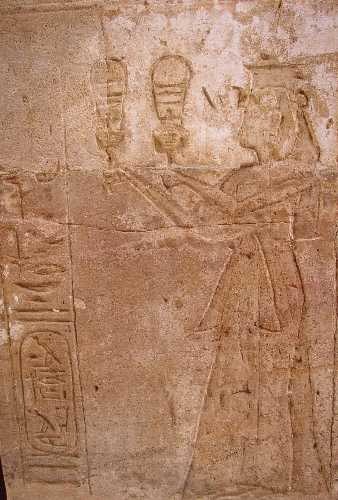 Twosret's reign ended in a civil war which is documented in the Elephantine stela of her successor Setnakhte who became the founder of the Twentieth dynasty. It is not known if she was overthrown by Setnakhte or whether she died peacefully in her short reign; if the latter is the case, then a struggle must have ensued among various factions at court for the throne in which Setnakhte emerged victorious. A pair statue of Tawosret and Siptah is now in the Munich Glyptotek (no 122). Siptah is shown seated on Twosret's lap. A cartouche of hers believed to come from Qantir in the Delta has been found Twosret and Siptah's names has been found associated with the turquoise mines at Serabit el Khadim and Timna (in the Sinai).